Anchorage Brewing Company decided from the get go that they were going to do things just a little bit differently than the average craft brewery. All of their beers are barrel aged and fermented with Brettanomyces (and other sour yeasts). This allows brewer Gabe Fletcher to take tried and true styles and send them off down whole new pathways created by this oft-unpredictable fermentation process. This is what makes trying this beer all that much more exciting. 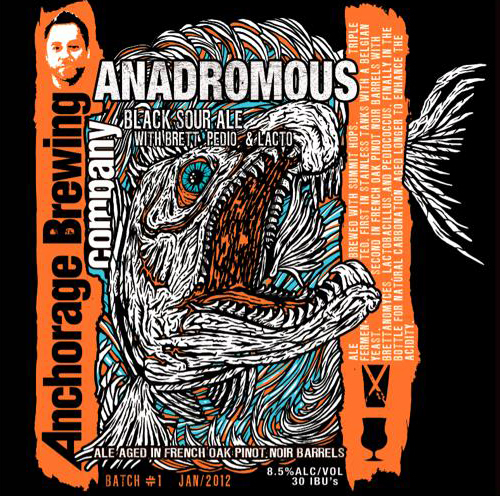 ANADROMOUS is an American Wild Ale with an 8.5% abv and 30 IBUs.